In Hayward, the new community health clinic will be co-located on the grounds of the new fire station, which services the Tennyson Corridor, a community with a large population of low-income and uninsured or indigent individuals and families. The Hayward clinic aims to persuade people with limited healthcare access to choose the Firehouse Clinic over the emergency room, especially for preventative care. To do so, the Firehouse Clinic will keep longer hours (8 a.m.–8 p.m. on weekdays) and guarantee appointment times within 72 hours of a patient’s request. The building, which will be separate from the fire station, will be a 2,400-square-foot, 7–exam room facility. The Alameda County Health Care Services Agency expects 5,000 new patients to be seen at the clinic during its first two years. The real genius of the idea, of course, is that fire stations are generally under-used facilities (in the sense that firefighters are either waiting around or out doing their jobs), and every city’s got at least one. South Hayward lacks a dedicated adult public health clinic, but the city has a fire station. Now it has both. This is an idea that deserves to catch on. …New York City has transformed itself into one of the most dynamic and safest places globally, providing a high quality of life paired with a diverse, well-paid and innovative job market. Part of that high quality of life includes walkable neighborhoods, a 24-hour transit system, great schools, culture and entertainment. As a result, New York City not only attracts talent; sometimes that talent then refuses to move elsewhere. According to Craig Nevill-Manning, Director of Engineering at Google in New York, the company wanted to “desperately hire” some people from New York in 2002, but the potential hires would not move to San Francisco. That, coupled with the fact that Nevill-Manning wanted to move back to New York just as desperately, initiated the move. At first, Larry and Sergei were “dubious that there were at least 15 good people to hire in New York,” but today the 3,000-person office has proven otherwise. 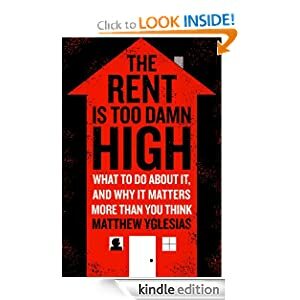 The past year has seen three sharp minds applied to revolutionizing housing policy – I recommend them all. 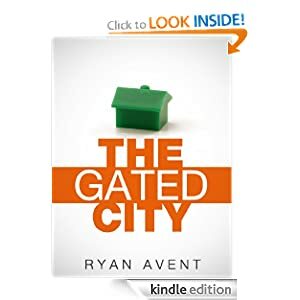 If you are new to this topic you will probably find Ryan Avent’s Kindle Single to be the most approachable. Harvard’s Ed Glaeser was interviewed by the European Magazine. 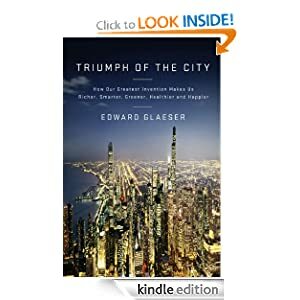 Ed is author of the excellent Triumph of the City: How Our Greatest Invention Makes Us Richer, Smarter, Greener, Healthier, and Happier. There are many important points, including the possibility that development policy could significantly reduce the per capita energy intensity of the ongoing urbanization. The future much richer Chinese peasant could require an energy footprint more like Hong Kong than Houston. Such an ultradense pathway is not a sure thing – just look at the sprawl of Beijing and Shanghai, which have less than one tenth the density of NYC and half the density of LA. The challenge for the West is to help the Chinese, Indians et al achieve the French path (of 80% nuclear electricity). The European: Could moving people into cities be a sustainable solution for emerging economies dealing with the issues resulting from growth? Glaeser: From an environmental standpoint it seems very clear that it needs to be done. But you have got to do it in a way that makes sense: Part of the issue with African poverty is that as long as people remain rural, they will be whipsawed by every environmental hazard that comes along. By engaging in subsistence agriculture, there is no way to for them to take advantage of the global trading system. I want to make it clear that I am not an environmental expert, but some regions may end up losing as a result of changes of the environment and others regions may end up benefitting. Areas that now are cold may end up being easier to grow on just as areas that are hot now may end up being worse to grow on. If you are part of the global trading system, you will be able to take advantage of wheat grown in Canada or in Siberia. If you are not, if you are a subsistence agriculture country, then every famine that hits rural Nigeria will leave thousands dead. It is easy to see the benefit that comes from a transition out of agriculture towards a more urban future. Concerning the environmental impact, it is clear that if everybody remains in rural poverty, there won’t be much going on in terms of carbon emissions. But I don’t think we can possibly hope for that. If you compare countries that are more than 50% urbanized with countries that are less than 50% urbanized, incomes are five times higher in the more urbanized countries and infant mortality rates are less than a third in the more urbanized countries. The path of rural poverty really is awful. But there are different paths and if for example the great growing economies of India and China see their carbon emission levels rise to the level seen in sprawling United States, global carbon emissions will go up by 120%. But if they stop at the level seen in hyper-dense but still prosperous Hong Kong, global carbon emissions go up by only 25%. So, density is a way of managing growth so that it involves less carbon emissions in the future. (…) The defining characteristic of declining cities is that they have plenty of infrastructure relative to the level of demand. 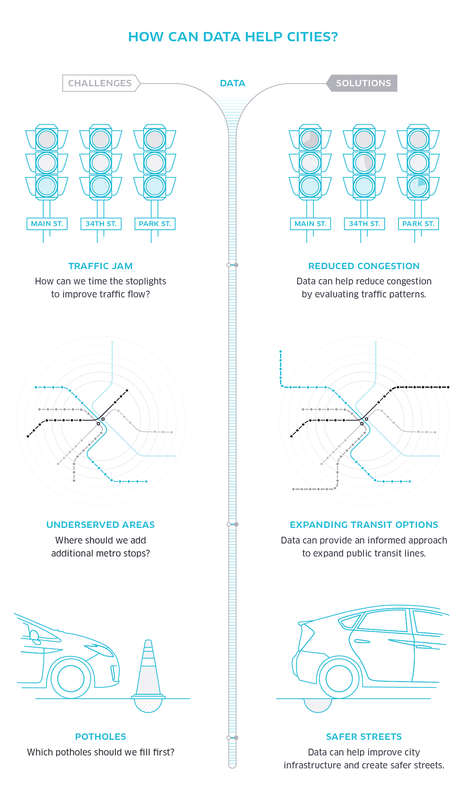 Detroit didn’t need the People Mover—an expensive monorail that glides over empty streets. And today, a Light Rail project is being pitched by the federal government, which seems to have learned nothing from the failures of past follies. 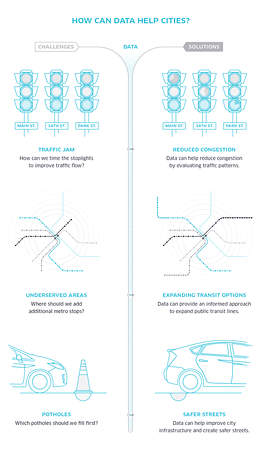 Neither Detroit nor the U.S. suffer from any profound transportation problem that can only be fixed with vast federal spending. The country doesn’t need more People Movers. It needs unleashed, educated entrepreneurs—and they will only be held back by taxes being funneled into fanciful make-work projects in a futile attempt to fix our economic malaise.